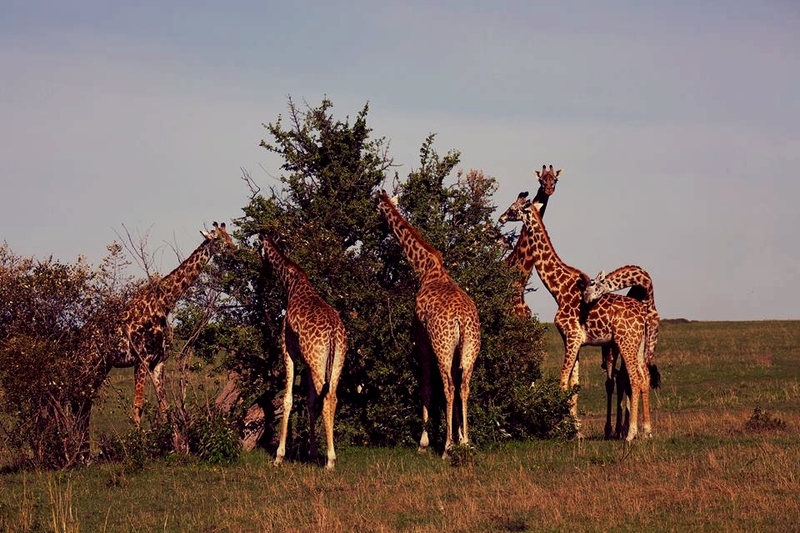 Our three days wildlife and forest adventure tour will take you to Murchison Falls National Park. The biggest of Uganda's ten national parks, our time at Murchison is fully packed with time to discover the region on numerous game watching activities by driving within the savannah forest, boat cruising to the river Nile, and reaching the top of the falls at 45 m high. A thunderous roar of the waters crashes down ahead of us before it continues on its course north. Our Murchison Falls Adventure lets us chase more safari memories with chances to encounter lions, warthogs, elephants, antelopes, Nile crocodiles and birds like the goliath heron, kingfishers, rare shoebill stork, and more, as we drive through this area scale of 380 square kilometers. Murchison falls national park is home to more than 460 bird and 76 mammal species. Your three days safari highlights includes time to explore the national park, visit at Ziwa Rhino Sanctuary tracking white rhinos, andcChimpanzee tracking in Budongo Eco-forest before returning to Kampala. Your East African safari experience will begin with welcoming you at Entebbe International Airport in the early morning hours or picking you at your chosen spot in Kampala. After briefing, our trip will begin by leaving the city. After passing Luwero and Nakasongora we will branch off from the main road on a 7km murram road to Ziwa Rhino Sanctuary. At this facility, you will have a chance to meet the rhino conservation rangers for your first wildlife experience. At Ziwa, the white Rhinos are being reintroduced into the country for the purposes of distributing them back into the wild after they had gone extinct in Uganda due to heavy poaching back in 1982. This role started again by 2005 after the establishment of Ziwa Rhino Sanctuary. We will have lunch in Masindi and continue to the park gate and we will arrive at Budongo eco forest, a home to chimpanzees and many birds species. We will proceed to catch the ferry from the southern bank of the Nile river to embark on our very first game drive in the forest en route to our lodge for the first overnight, which is Pakuba safari lodge (Medium). Early in the morning at 5:00 AM, we plan to get out of the lodge and make our way to meet the hot air ballooning crew. We want to begin the day with a game watching experience from above! You will be amazed by the silence in which we will spot antelopes graze, African cape buffaloes running into their tracks, and big cats getting ready for the hunt. Upon your return from the skies, we plan a bush breakfast and consecutive game drive, briefly. In the early afternoon, we will be able to see different bird species, animals like the Nile crocodiles, hippos, monitor lizards, elephants on a boat launch towards Murchison Falls. The boat will lead you to the base of these falls, where you will get out and commence a 45 minute hike to the top of the waterfalls for breathtaking views. You will once again meet your guide at the top of the falls after this walk and later drive back to the lodge for dinner and overnight at Murchison River Lodge (Medium). After breakfast at the lodge, we head out for an early morning drive to reach Budongo forest for chimpanzee tracking. With your packed lunch, we will meet the rangers, attend the activity safety briefing and enter the forest to track our closest relatives who live in this nature reserve. We will have some time hiking in this forested part of Murchison conservation area. This gives us much opportunity to discover this forest's fauna, featuring endemic northern and Congolese bird species in addition to many monkey species and olive baboons. After this last activity, you will regroup with your safari guide and transfer back to a place of your choice in Entebbe or Kampala. This is where we conclude our journey! Customized safari request are always free of charge. There is no obligation of payment until we agree on your personal safari itinerary, receive your passport photocopies, begin to make reservations, and collect your flight information. Please use a valid email address for us to stay in contact with you. When would you like your safari to begin? High and low seasons may hold special offers. 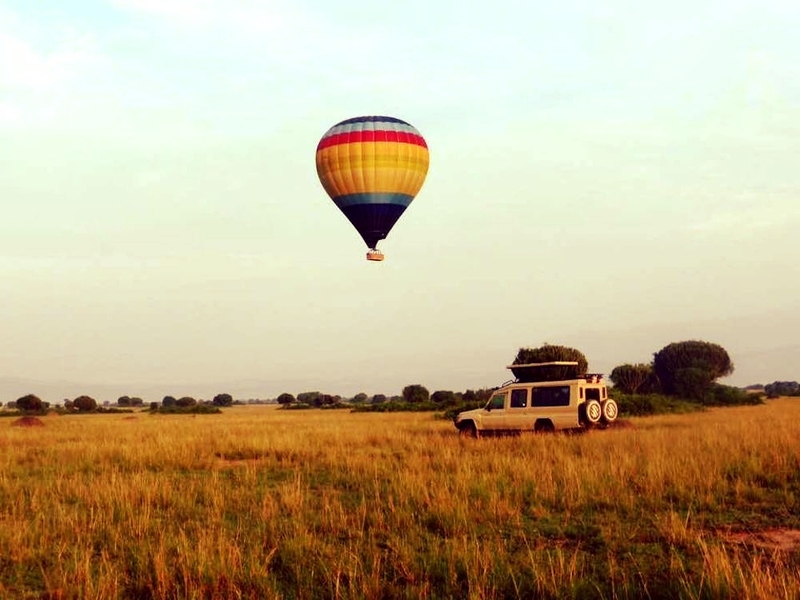 How many travelers are you planning to come to East Africa with? Let us know of any other ideas, requests, dietary requirements, and other factors, you would like to share with us. 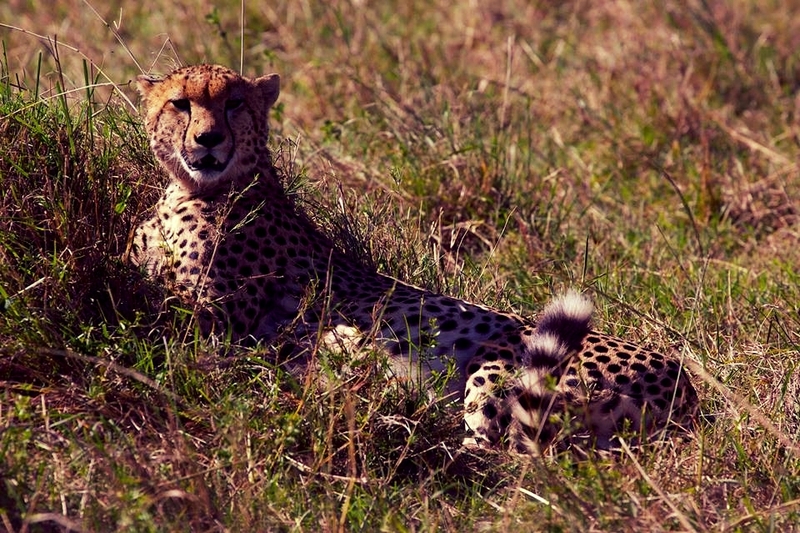 Do you want to use this safari itinerary as a template and start customizing your trip with Instinct Safaris? Let us know. Can you already think of questions about your safari? Do not hesitate to ask us at any time. Thank you! We will get back to you, shortly. VAT is included in the tour price - emergency air ambulance evacuation is included in your trip with us through a gold cover from AMREF Flying Doctors (www.flydoc.org) valid in Uganda - your full board accommodation in the specified lodges, hotels, and camps is included on a shared room basis - your secure transport is ensured by traveling in a fully safari-customized Toyota Land Cruiser - all other transportation included in your travel plan is on us - soft drinks, water, and endemic fruits are included in your safari. We support the local community by buying as much produce as possible from them rather than from large chains - park entrance fees to Murchison Falls National Park are included in your trip - a hot air balloon ride in Murchison Falls National Park is part of the price (US $380 value) - your boat launch at Murchison Falls is included - your visit at Ziwa Rhino Sanctuary is included (US $45 value) - your Instinct Safaris Foundation fee is included in the tour, supporting local vocational, health, and educational projects. Travel health insurance is not part of your safari price - all sorts of expenses of personal nature - souvenirs, drinks, laundry, and additional equipment - are not included - activities not stated in the itinerary are excluded - gratuities and tips to rangers, driver, guide, porter, lodge staff, or others, are not included - Instinct Safaris is not to be held responsible for the loss or damage taken to any object or piece of equipment taken in the wild.